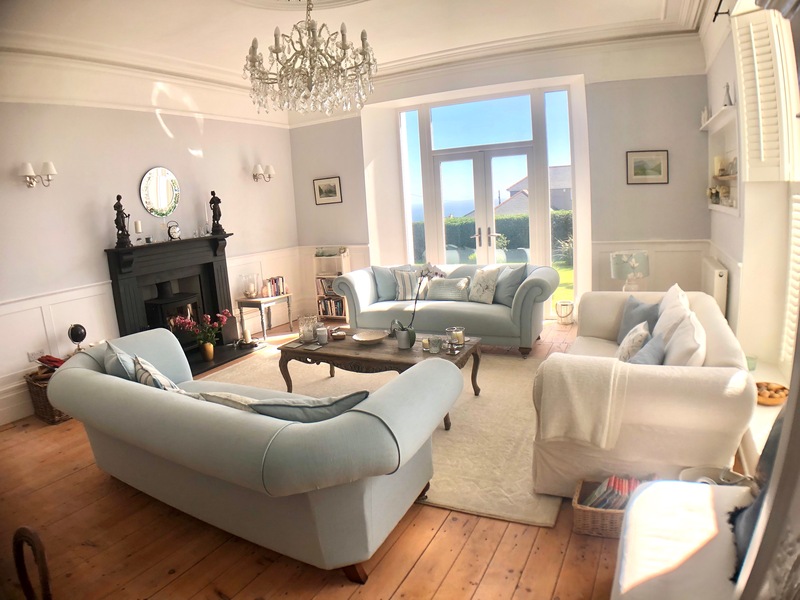 A Characterful Victorian House overlooking the Lizard Lighthouse at Britain’s most Southerly Point. 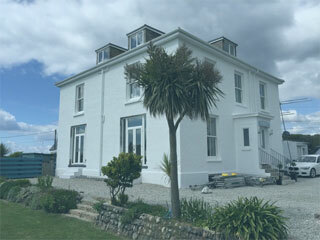 We would like to welcome you to Penmenner House located at the Lizard in Cornwall. 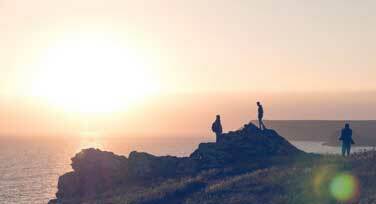 Follow the bridleway from the gate and before long you will be on the glorious Cornish Coast Path. From here you will find spectacular walks in all directions. If you enjoy walking, you will be spoilt for choice. 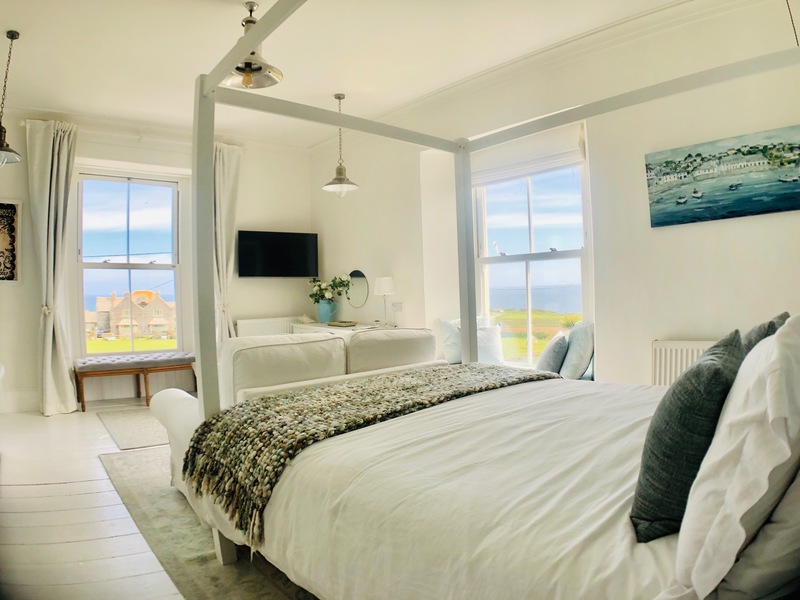 Penmenner House Bed and Breakfast is an attractive period house with 4 individual en suite guest rooms and outstanding sea views. There is also a sunny breakfast room, an elegant drawing room for guests to use, a beautiful garden for you to enjoy and plenty of parking. 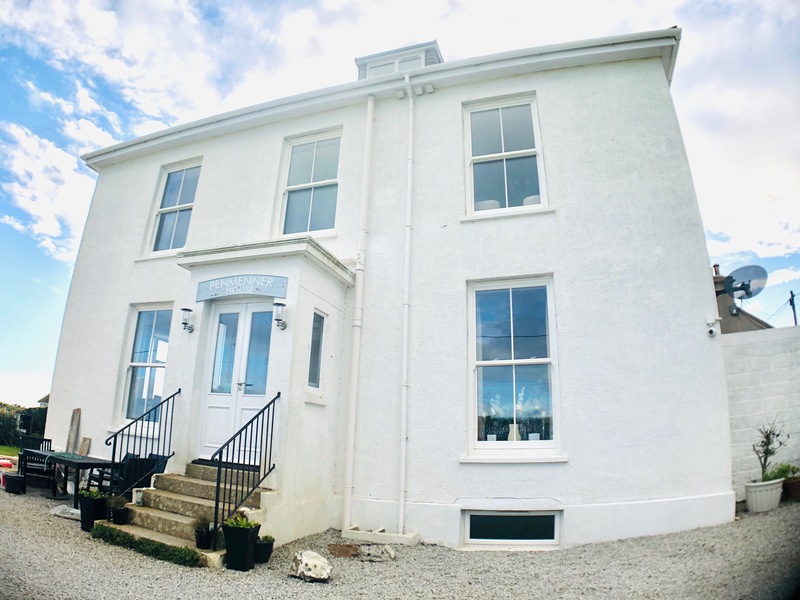 Built in 1862 for Nicholas Vivian a Victorian gentleman who described himself as a proprietor of houses and mines, Penmenner House has an interesting history and has long been a favoured place for poets, writers and artists. A clean and spacious room with an amazing sea view. A warm welcome and good local tips from Susan and Geoff. 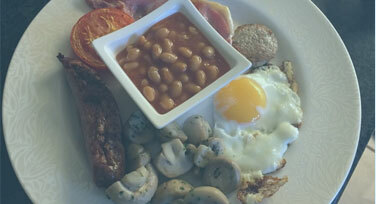 An excellent breakfast. Great location near the lighthouse and coastal path. We hope to visit again. What a stunning house and amazing stay. Wouldn't change anything. Beautiful room, everything catered for, real great attention to detail. Wouldn't fault a thing.! Amazing value as well! Could lay and look out over the Atlantic for days and not get bored. really friendly and helpful hosts.